Though I struggled a bit to set it up but I manage to get it right. Still working on it. Did you like to go to school when you were a child? Not all kids are fond of learning, but there is a good way to encourage them. 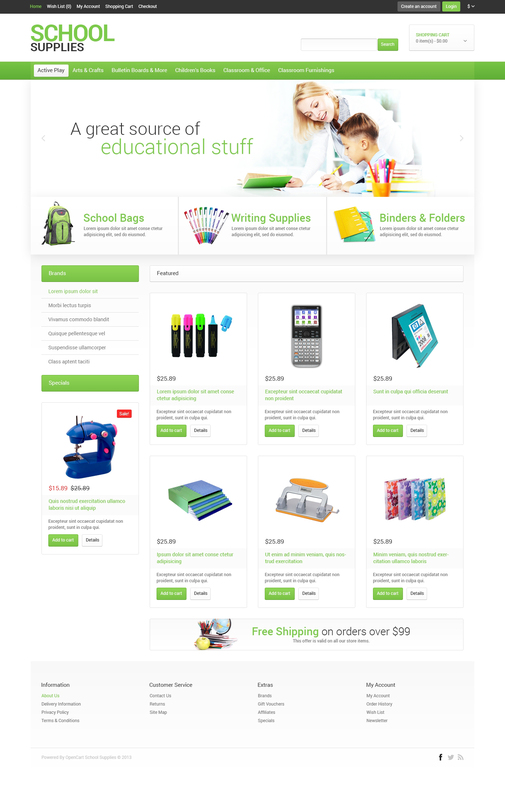 Bright, beautiful school supplies will help any child cope with all tasks with ease. Turn routine studies into a fascinating game. Do it with the help of our light, cheerful template. Here parents will be able to choose school utensils together with the beloved offsprings, according to their taste and individual preferences. Choose this template! I bought a great template and I did install and customize. Everything quick and perfect, in the usual style of TemplateMonster!